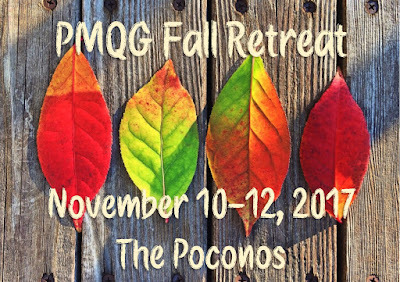 Philadelphia Modern Quilt Guild: You're Invited to Our Annual Fall Retreat! This looks really fun, I wish there would be more of things like these in my town. If I would have been nearby, I would have visited for sure. What a fun retreat! I am looking forward to this event. All the details that have been provided in this post sounds too amazing to me. I think I am going to take up this theme for my office’s corporate events Chicago.